Would you like a cup of hot tea, old chap?" 250 limited prints. They really look very familiar, don't they? Well, sure we do not really know whose Sherman IIIs and Scammell Pioneer did these belong to... But should that prevent us from using a little bit of imagination?! These characters are simply just too adorable to be ignored, that's why we can't resist the idea of turning them into really usable decals. 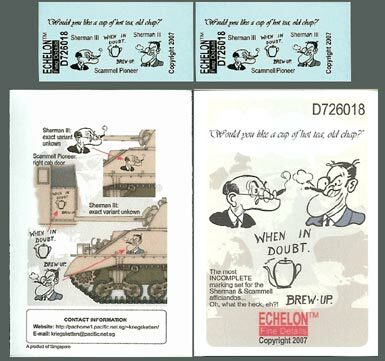 Two sheets are included, you can treat the extra sheet as a spare in case the first one is messed up, or you can place each character on both sides of the vehicles. For all we know, it could be just one side of the vehicle or both. It is your decision. Mil Mi-24V Hind-E ''U.S. 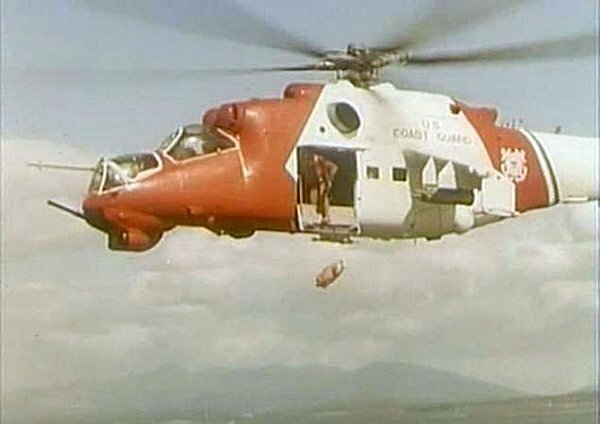 Coast Guard'' This Mi-24 was painted in U.S Coast Guard scheme to fulfill the role of an American Search and Rescue (SAR) helicopter in the Soviet film "Charged with Death" (Zarjazhennye smert'ju) , it appeared some time after filming during public days. In 1991, as the Soviet Union declined, relations with the United States improved. It is in this context that the film "Charged with Death" comes out in Russia. The scenario tells the story of traffickers hunted by the Soviet Navy, in collaboration with the US Coast Guard. If it happens that western aircrafts wear of the communist or middle-east block style schemes, such as the "Aggressors" of the Naval Fighter Weapons School (Top Gun) in the US Navy, or the US Air Force's "Aggressor Squadrons." It is much less common to see Soviet aircrafts in American colors, especially when it's a Mil Mi-24 (attack helicopter) which plays the role of a rescue helicopter. However, it should be noted that the decoration of the "U.S Coast Guard" type which has been applied to it respects the original scheme in the smallest detail, notably the faithful insignia of the U.S coast guards. The only breach would be the bands bordering the American star which are a little too long, this detail is obviously included in the decals.